If you’re running a small business, then you can’t ignore marketing. And marketing websites, for that matter. If you don’t pay attention, your brand won’t be as easily recognizable as that soft drink or computer company logo is. Small companies must continuously try a variety of marketing tactics to capture notice in the busy global online marketplace. The good news is that we take some of the work away from you by selecting a list of the top 5 marketing sites you can’t live without. Anything from Royalty Free Music sites to Webinars and Infographics, you’ll find here. Adweek has been around since 1978, which means it has evolved with the internet, so we expect they know what they’re doing. In early 2015, they formed the Adweek Blog Network. These blogs focus specifically on B2B blogs with a strong focus on the media industry. This American company also has several other media sites too. TVNewser is one of the most highly read blogs in broadcasting. If you want to gain a better understanding of advertising and the media industry, Adweek is an essential read. 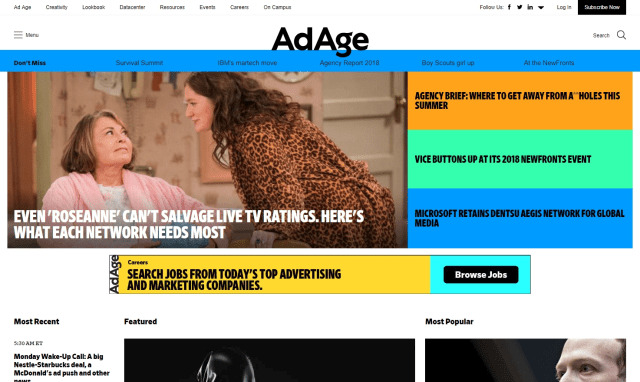 Also known as Ad Age, this is an online marketing and media magazine. It has a history dating back to Chicago, 1930. They not only are online but still have a monthly print magazine too. Ad Age also has some inspiring annual conferences that are of interest to women and small business entrepreneurs. 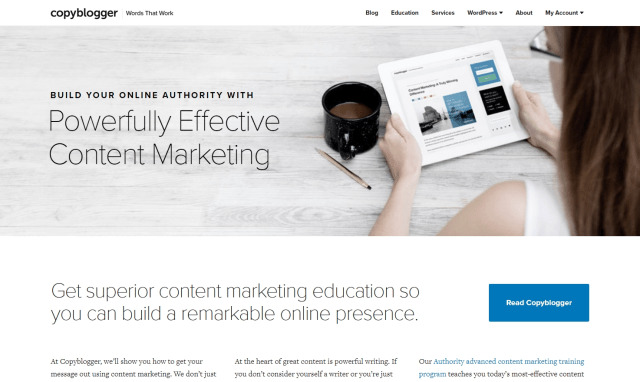 To build your online authority with content marketing. That’s what copyblogger helps you with. Copyblogger is not only an online site with a valuable blog, but they also teach small business people on how to create useful and engaging content for their blogs and websites. They offer businesses everything from web development and design to digital marketing strategies, SEO, content and copy creation tools, social media marketing, advertising, and more. 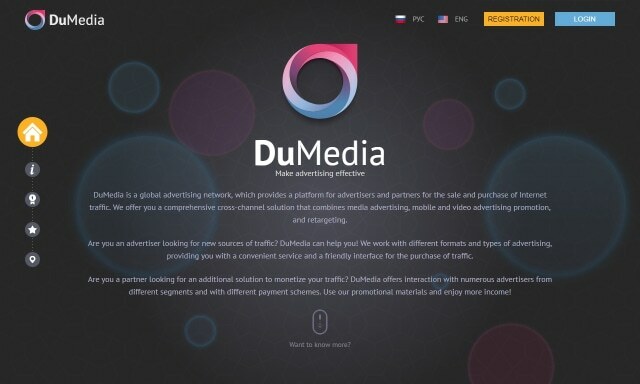 DuMedia, if you’re serious about monetizing your business website. Also known as Affiliate Fix, this site offers an online community that helps people understand affiliate links and how to collaborate to earn profits. You can find an endless list of resources if you’re searching for the best affiliate link marketing to add to your website or blog. Even though they have a strong focus on affiliate networks and programs, there’s also plenty of information on publishing and advertising too. And then there are even some coaching and online courses offered here to help with your learning. The site is packed full of knowledge so you can expect to be here for a while. Seth actually invites you to click his remarkable head, to continue. 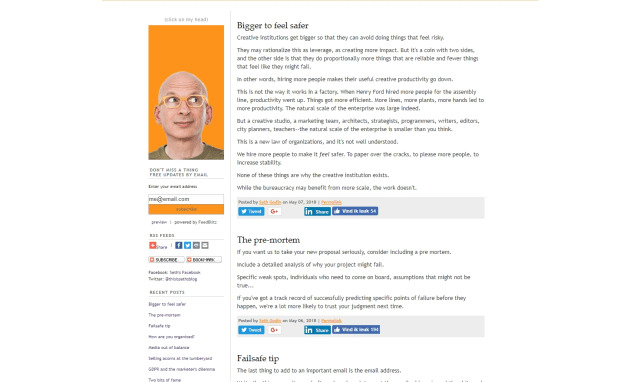 Seth Godin is a real person who has worked for many of the top .coms around the world. Today, he’s an author and has written over 17 books. His website offers some great advice. He’s one of the big motivational influencers today. What he offers is a strong focus on email marketing. He believes that for a person to succeed, they need to identify themselves by displaying their individuality to the world. If you want to learn more about his books and other marketing thoughts, you could start with his blog. These five marketing sites should keep you busy for some time. You’ll also find them in our Discover section. Read through the advice and come up with original ideas on how to market your own business to success. And please let us know if they are useful. We’d love to hear and learn from your experiences.